Xiaomi Redmi 5A smartphone features a 13MP camera to capture outstanding pictures. 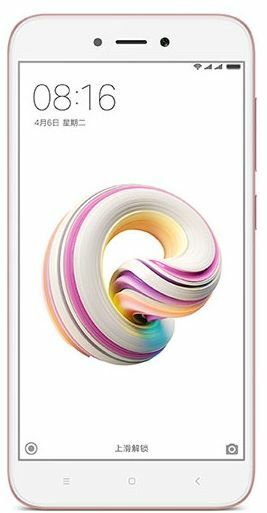 Buy this Redmi 5A mobile today and enjoy user-friendly interface.Style and cutting-edge features join hands in the Xiaomi Redmi 5A Dual SIM smartphone. With a Snapdragon 425 Quad-Core processor and a 2GB RAM, this 5A smartphone is ready for everything you throw at it. Furthermore, the internal memory of 16GB gives you the freedom to save all your valuable data under one roof. The 13MP rear camera makes this phone an excellent choice for photography lovers. It delivers a phenomenal image-capturing performance that keeps you ready to capture all the special movements of life. Moreover, the 5MP front camera clicks breathtaking selfies at parties and functions. A battery life of 3000mAh frees you from frequent charging. This dual SIM phone boasts a 5inch HD display that makes everything from movies to games a visual treat. Furthermore, the eye-protection mode on this phone reduces eye strain and protects your vision. Nice mobile as it says Delivered before time !! !